What is the Joiner Fee for? The joiner is the initial fee that new Members pay when they join. The funds are set aside for facility improvement and equipment upgrades to enhance the membership experience. Guest Passes can be purchased for $15 for Adults and $8 for Youth (17 and under). A photo ID is required. We do restrict guest passes occasionally, so please check ahead of time to be sure we are accepting guest. Guests must provide an ID which will be copied, a waiver must be completed, and guests will have their picture taken. Do I need a racquetball reservation? No, but without a reservation, you are not guaranteed use of the court. Someone else may have a reservation. The Lap Pool is kept about 83 degrees. The Therapy Pool is kept at about 89 degrees. What are the differences between a Fitness Coach and a Personal Trainer? Both are employees of the YMCA and provide FREE WELLNESS CENTER ORIENTATIONS and are available to assist our members with their questions. YMCA Personal Trainers are Certified Personal Trainers from a nationally recognized certification organization and are skilled in designing specific exercise programs to fit an individual's needs. 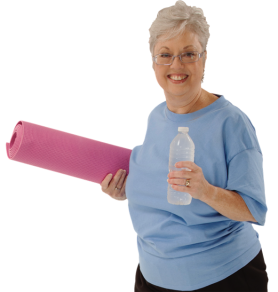 A fitness assessment is a service provided by a YMCA Personal Trainer to determine your current level of fitness and can be used to help establish your fitness goals. Need to be held accountable? Have difficulty motivating yourself to come to the gym? Train with others in a small group setting in The Training Studio. Personal Trainers will guide you through challenging workouts and push you to your full potential. Additional charges apply. Each member may pick up one towel at the Courtesy Desk. Additional towels are 25 cents. Hand towels are provided in the Wellness Center. How old do children have to be to visit the Decatur Family YMCA without an adult guardian? Youth 8 and under must be accompanied (under direct supervision) by an adult unless participating in a YMCA program. 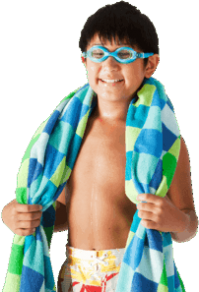 Children between 9 and 12 years of age must have an adult in the building unless participating in a YMCA program. Children 13 and up may be dropped off without being accompanied by an adult.